Exercise: When you reduce your intake of food and go on a fruit-vegetable diet, your energy levels come down, and because of this your physical activities decrease. It is important to note that there is a body mechanism that conserves enough energy when you reduce the intake of calories, which in turn reduces your metabolism rate to a significant level. Food is never plentiful for humans, hence your body develops a strategy and responds to fluctuations. Physical exercise helps keep these fluctuations under control and helps you lose weight effectively. Apart from this, physical exercise increases your appetite. This in turn increases your metabolism rate. But note that, eating junk will not do any good. Worse, it will only hamper your health and all your hard work becomes a waste. Final Word: Following a proper diet plan is very important to lead a healthy life, of course; but it is of no use if you don’t exercise. If eating clean and healthy foods provide you with all the essential nutrients that your body requires, physical exercise keeps you fit and helps burn that extra fat. Proper diet along with physical exercise goes a long way. 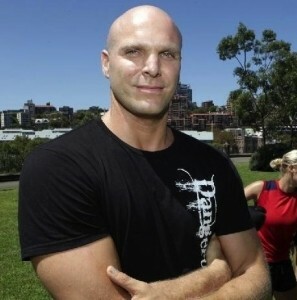 You can find out more about Dan Clay and his Dangerously Fit Bootcamp by checking out his website.